Did you know that if you live to 100 you will live more than 50 million minutes? That’s 525,600 minutes every year. The 100 Year Lifestyle gives you a blueprint for how you can make the most of each moment. Start by realizing that your time is your currency. Each minute you spend represents a choice, whether or not you made it consciously. Making informed, purposeful decisions about your time will allow you to fall madly in love with the life you’re living, starting today. Don’t shy away from “time management.” Strategizing and planning can be enjoyable when you know you’re taking control of your future. The key is to build your schedule around your life, not your life around your schedule. After all, if your time is not your own, your life is not your own. Using the Quality Time Living Model that I provide in The 100 Year Lifestyle, you can maximize every tick of the clock, and become healthier and happier. The three parts of my Quality Time Living Model are prime time, prep time and play time (and you need all of them!). Prime time is your chance to use your talents and skills to produce something of value for the world. It gives you a sense of worth and satisfaction, and builds your self-esteem. That’s why it is so important to choose a career that you love! Prime time keeps you sharp, purposeful and productive. Prep time is the time you spend planning and preparing for your prime and play time, and it is important not to neglect this step. Designate official prep time and watch your life run smoother! Play time is all about you. This is time for you to pursue your interests, and spend time with your friends and family. Play time nurtures your creativity and revitalizes you. Newsflash: you deserve play time. You don’t have to earn it, and you certainly don’t have to be exhausted to take it. 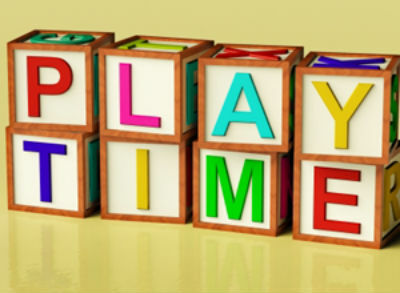 Prioritizing play time will result in higher quality prime time and increased performance all around. Fortune magazine recently declared “innovation” as the “main competitive strength” in the workplace. If you continually sacrifice your life for your work, your energy will go toward survival. When you are emotionally, physically and spiritually balanced, your energy can go directly toward your creativity. Not every day has to be centered on completing tasks, so don’t be afraid to unplug from the constant ringing and buzzing of the modern world. Balance is crucial for sustained energy, peace of mind and longevity. Make this your mantra. Set boundaries. Get a calendar and block out holidays, birthdays and planned vacations as play time before you do anything else. Consider how many days each of prime, prep and play time you need to achieve balance, and plan your schedule accordingly. Your productivity will increase and you’ll be more content, enthusiastic and energized than ever! In The 100 Year Lifestyle, I show you how to stop treading water and start building upon your life and experiences, starting with the next 30 days. You’ll be thrilled when your schedule stops revolving around Mondays and your life starts revolving around you.